Carefully crafted & nutritionally balanced complete dry dog food for the health and wellbeing of small breed senior dogs from 10 years that weigh 10 kg and under that enjoy a grain free diet. Additives per kg: antioxidants: E306/Natural antioxidant. 181 mg, Vitamins: E672/Vitamin A, 15000 iu, E671/Vitamin D3, 1400 iu, taurine: 1000mg. Trace elements: E1/iron, 133 mg, E2/iodine, 3.3 mg, E4/copper, 20 mg, E5/manganese, 40 mg, E6/zinc, 385 mg, E8/selenium, 0.44 mg. 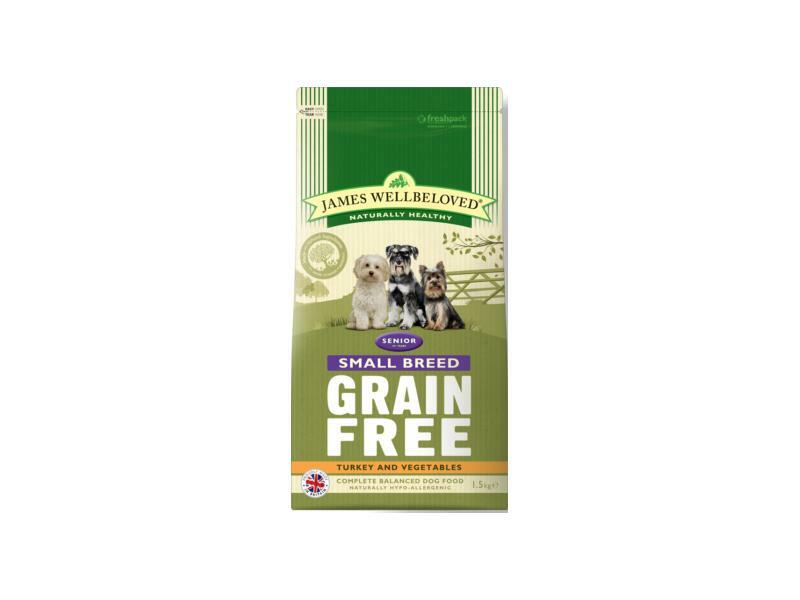 There are currently no questions for James Wellbeloved Turkey Grain Free Small Breed Senior - be the first to ask one!